Set in the same world as the New York Times bestselling Parasol Protectorate, this bestselling young adult steampunk series debut is filled with all the saucy adventure and droll humor Gail Carriger's legions of fans have come to adore. 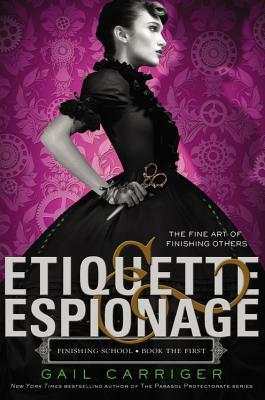 New York Times bestselling author Gail Carriger writes to cope with being raised in obscurity by an expatriate Brit and an incurable curmudgeon. She survived her early years by reading most of her local library and memorizing Greek battles. Eventually she escaped small town life and inadvertently acquired several degrees in Higher Learning. In pursuit of further finishing, Ms. Carriger traveled the historic cities of Europe, subsisting entirely on biscuits secreted in her handbag. In the Finishing School series, she takes her readers back to a time before the Parasol Protectorate, explaining the mysteries of her steampunk world and visiting a few old friends.